Helen Asman Dahlem (1907 – 1974) was born and raised in Louisville, KY and was blessed by her parents and family with a Catholic education. She attended St. James Elementary School and, in 1925, graduated from Presentation Academy as its Valedictorian. It was those days of her life that inspired her to to embrace her Catholic faith. During her days at Presentation Academy, Helen Asman served as the President of the Catholic Students Mission Crusade and presided over its national meeting in Chicago in 1925. She then attended Nazareth College, now Spalding University, earning a full academic scholarship. In 1928, she married Joseph C. Dahlem and they raised their family in Louisville. In 2016, her son, Bernard A. Dahlem, along with his family, established a permanent endowment scholarship fund at the Catholic Education Foundation of Louisville to honor her loving memory and the Catholic education that so defined her life and that of her family. 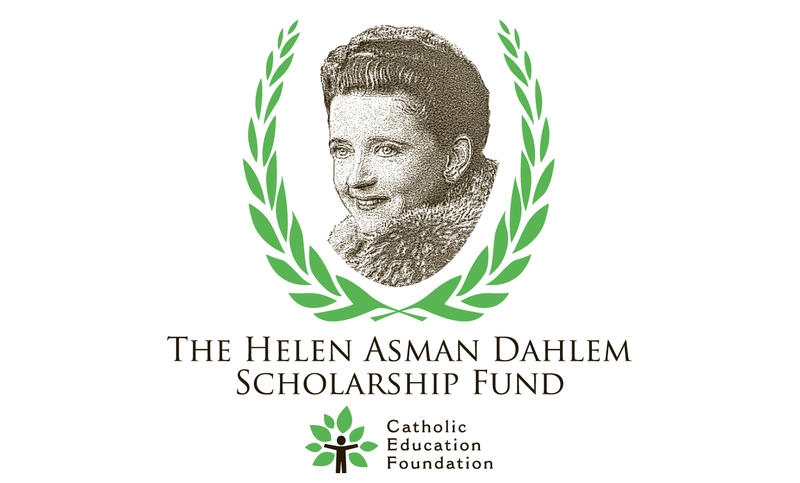 Originally endowed with $500,000 by the Dahlem family, the Foundation is working to match this amount and create a permanent fund of $1 million that will provide the gift of a Catholic education to a deserving young child whose family longs for the same God-blessed education that Helen received in her life.